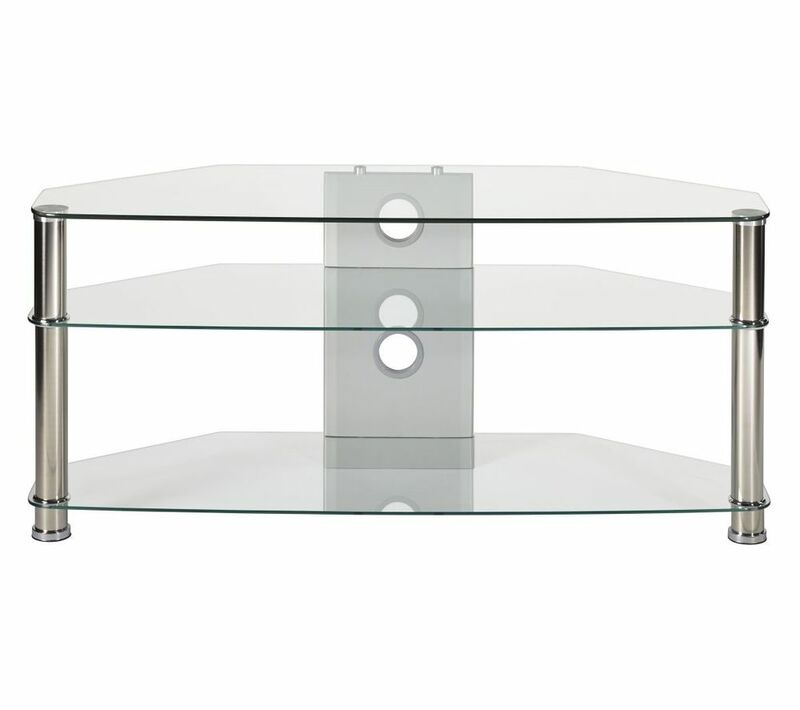 Display your television and accessories with the classic and stylish MMT Jet CL-1000 TV Stand, with clear glass shelving and chrome steel legs. The stand has cable management slots to keep wires out of sight and can hold 80 kg in weight on the top shelf. It is suitable for TVs up to 50” in size and is easily self-assembled in the comfort of your home.